I was perusing the net recently and came across a story about how a Star Wars fan film that had built up a head of steam online, has been slapped with a copyright strike from Disney. Nothing unusual there as the company is virtually legendary with respect to its litigious proclivities. However, someone over a Lucasfilm interceded and got the strike lifted, because the fan film creator had allegedly sought prior permission and supposedly received it. 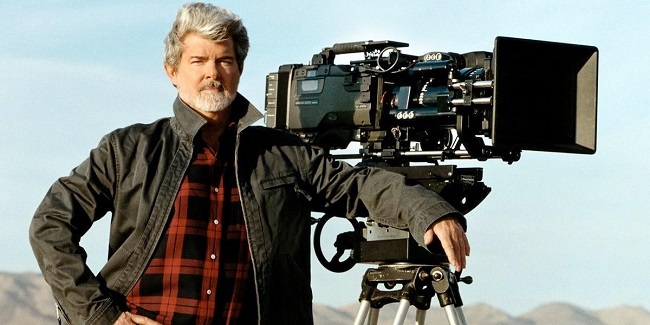 George Lucas has always maintained an equitable attitude towards fan usage of the Star Wars IP, something he tried to impress upon Disney when he sold the rights to them back in 2012. But it is very difficult to have a balanced discussion about George Lucas as the man is such a paradox. On one hand he is possibly one of the greatest contributors to twentieth century pop culture and has influenced a generation of film makers, writers and fans. On the other he is the man who single headedly has managed to queer his own pitch, with the way he has continuously tinkered with his body of work and appended it with supplemental material that many deemed substandard or to the detriment of the original. He is also still vilified in some quarters for his business arrangement with Disney. Star Wars Begins is a detailed documentary by film maker Jamie Benning that explores the creation of what is now considered to be the most iconic movie of the seventies; namely Star Wars. It features a wealth of deleted scenes, alternate takes, behind-the-scenes footage, bloopers, original on set audio recordings and a great deal of commentary by the original cast and crew. As far as I’m concerned, it is the most thorough and in-depth analysis of Star Wars I have yet to see. Frankly it beats hands down, any of the officially sanctioned documentaries that have appeared over the year on the various DVD and Blu-ray releases of the trilogy. Certain groups just lend themselves to ridicule from the media and in popular culture in general, irrespective of whether they deserve it or not. Star Wars fans are a prime example of this. Their love of the lore, predilection for cosplay and hunger for collectables at first glance makes them an easy target. Film maker Mark Edlitz, takes a decidedly different approach in his documentary Jedi Junkies. Instead of finger-pointing and making cheap jokes, Jedi Junkies puts a very human face on a group of enthusiasts, showing their passion to be in essence, no different to that of sports fans or other more mainstream hobbies and pastimes. 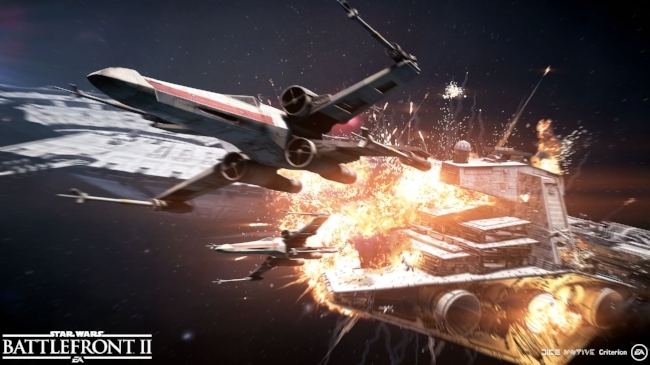 On the eve of the launch of Star Wars Battlefront II last Friday, DICE General Manager Oskar Garbrielson released a statement stating that paid microtransactions were to be disabled in the game for the immediate future. It was a major reverse of policy after several weeks of increasing debate and acrimony about the subject from Star Wars fans and wider gamers. It has now come to light that the decision was due to pressure from the rights holders themselves. Disney Head of Consumer Products and Interactive Media Jimmy Pitaro is apparently the driving force behind this U-turn. Naturally with a major movie release only weeks away and the prospect of huge merchandise sales over the holiday season, no one at Disney wanted to see a media circus that could impact upon their bottom line. What happens in the new year when the controversy has died down and the movie leaves the cinemas, remains to be seen. I suspect we have not seen the back of the loot crate issue but for the meantime the problem has been side-lined. Back in 2008, I discovered a fan edit of George A. Romero’s iconic Dawn of The Dead and was very impressed with the way that enthusiasts can now re-edit and re-imagine any film of their choice, using commonly available tools. I subsequently spent some time looking into this entire sub-genre further and found that one of the most popular franchises to be fan edited was naturally Star Wars. One of the first fans edits of this kind I watched was a "Grindhouse" version of A New Hope that had been retitled The War of The Stars. It was fun and tried to be different but overall it was simply an amusing diversion. Something that could viewed as a in joke among fans. Not all of the fan edits out there are particularly good and as a genre it can be very uneven. Yet through word of mouth it became quite apparent that one particular Star Wars fan edit seemed to be getting a great deal of attention and praise from both the fan and wider community. Namely Star Wars Revisited by Adywan. Having completed my ten-hour Play First Trial of Star Wars Battlefront 2, I wanted to elaborate further upon my initial thoughts of the game. It should be noted that the demo that EA offers via Origin Access, comes with several caveats. Only the first three missions of the campaign are available, although these are sufficient to give to the you a good handle on the game’s various combat mechanics. You play as Imperial Special Forces Agent Iden Versio, the leader of Inferno Squad. The story starts during the Battle of Endor and addresses the fate of the Empire, after the Emperor’s demise. Unlike many games from this genre, the single player campaign is well written and engaging. When this part of the demo ended I found myself wanting to play more and see where the narrative went. Out of the ten hours given for the demo, I spent about three on the campaign. The rest of the time I spent in multiplayer, which is the game’s raison d'être. After watching Rogue One earlier today, I was suitably impressed. Once again Disney have used all the knowledge they've amassed from successfully running major franchises and applied it here, resulting in a finely tuned and polished entry into the Star Wars pantheon. The concept of standalone movies released in-between instalments of the classic story has now proven viable opens up a wealth of possibilities. Rogue One works well narratively and provides the spectacle that fans expect from the series. The continuity and attention to detail is outstanding continuously keeping viewers on their toes. Furthermore, the story itself is credible, dovetailing nicely into the lore. I decided to return to SWTOR today, not because I wanted another MMO but instead required a narrative driven RPG. I’ve been convinced by several websites and podcast that BioWare has effectively given us KOTOR 3 via Knights of the Fallen Empire and so I decided it was time to revisit the proverbial galaxy far, far away etc. I initially played SWTOR upon its launch in late 2011 and returned to the game after the F2P conversion, when Rise of the Hutt Cartel expansion was released. Although I enjoyed the game more second time around I still felt that it sat somewhat uncomfortably between an old school MMO and a more contemporary variation. The less said about Galactic Starfighter the better, as that expansion just wasn’t to my liking. Essentially my return to the game is based on the promise of a single player RPG experience and the underlying appeal of the franchise. Contrary to my expectation Star Wars: The Force Awakens is an extremely entertaining and enjoyable movie. It manages to balance the needs of all interested parties. Fans get epic battles, iconic hardware and dependable performances from established and cherished characters. The new cast dovetail into the story with ease and are engaging. The torch is past from old to new seamlessly. There is humour, pathos and genuine tragedy to be found in Star Wars: The Force Awakens and it’s there because all involved clearly love and respect the franchise but also understand what makes good cinema. Fandom tempered by professional film making. The two do not have to be mutually exclusive. A reoccurring theme in both my writing and podcasting at present is how age changes one’s personal perspective. This is something that particularly manifests itself with regard to gaming. A decade ago I would have been extremely enthusiastic about a title such as Star Wars Battlefront. I would have pre-ordered the most lavish version available, then waxed lyrical about the beta test and thrown myself wholeheartedly in to the game upon its release. Despite the fact that I’m notoriously poor at the FPS genre, I would have sunk hours in to such a game and done my up most to convince myself and others that I’d had a good time.